10% off eat-in only. Minimum spend £15. 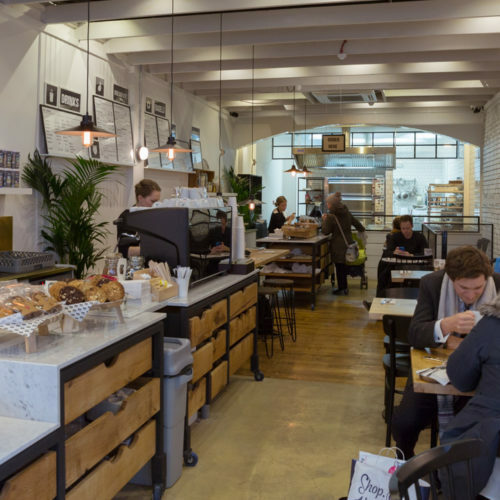 From a family that has been baking bagels since 1989 comes B Bagel Bakery on the Fulham Road, serving bagels, bagel sandwiches, salads, breakfasts and great deli produce. As well as traditional bagel fillings such as smoked salmon, egg mayo and cream cheese, there are also salt beef bagels, falafel bagels and omelette bagels. The halloumi salad is a firm favourite.